A 37-year-old motorcyclist from Birkirkara was injured when he was involved in a collision along Mannarinu Road in Birkirkara on Wednesday evening. 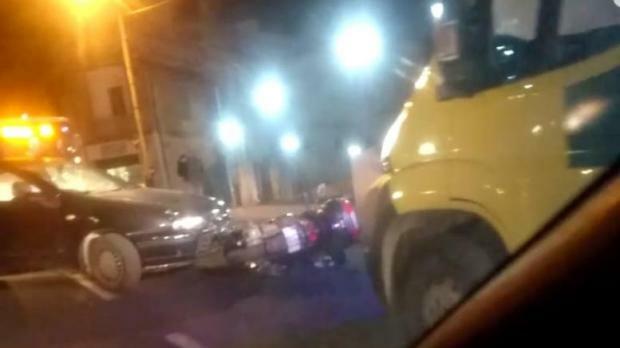 Police said the incident, which occurred at around 5.45pm, had seen the male motorcyclist crash into a Fiat Bravo being driven by a 68-year-old man, also from Birkirkara. The motorcyclist was the only one to sustain any injuries from the incident but no further information on the severity of these injuries, or his condition, was available. The motorcyclist was taken to Mater Dei Hospital by an ambulance that was called to the scene of the collision to provide medical assistance.